PG Paper Company’s core values are based around the values of our CEO, Poonam, and have been crucial in our growth to become one of the UK’s leading paper companies. Our core values are centred on ‘do what you love and love what you do’ and this mentality is something that has driven PG Paper to where the company is today. 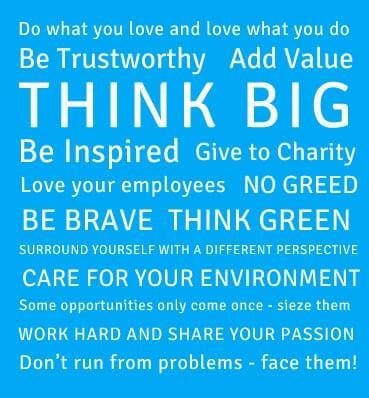 We try and instil these values into our work every day, creating a positive environment to work in and do business with. Through continuing to think big and always stay humble, we will continue to develop. To become a leading world-wide partner in business by creating markets across the world and enabling trade in the paper industry and beyond. To provide a holistic service from sales, marketing, logistics and financial services for our partners by customising trade solutions for their needs..
At PG Paper we believe in our staff. All clients are supported by our dedicated, knowledgeable and helpful team who are on hand to assist you personally with your requirements from enquiry to delivery. Our personalised service offers a no-hassle experience for our clients and partners. With our expert team from procurement, sales, logistics, documentation and finance, we are certain we can add value to your organisation. We aim to offer a win-win situation for our clients and the PG Paper sales staff will be on hand to assist with any opportunities you wish to discuss. We work with many paper grades and are always researching innovative ways to utilise our papers. We will find something suitable for your needs.